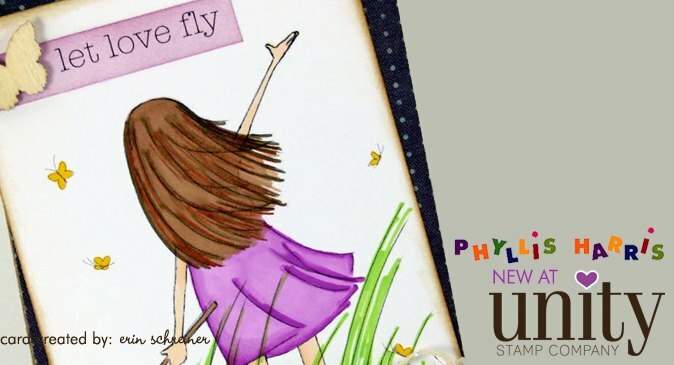 First, there are NEW Phyllis Harris releases. You know her from Highlights Magazine, and her girls are just beautiful. 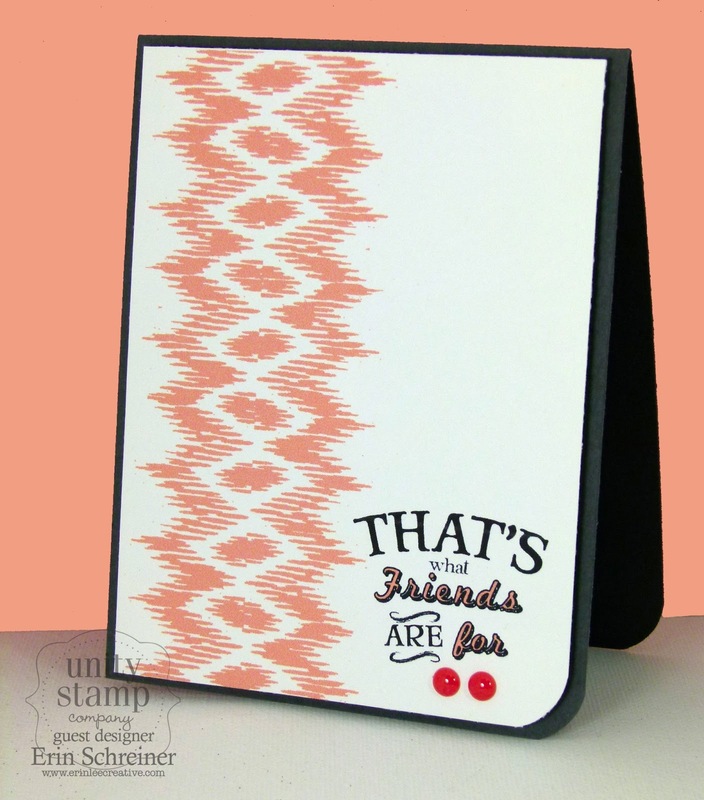 On top of the new releases, ALL Phyllis Harris stamps are 40% off!!! Um, yes please. 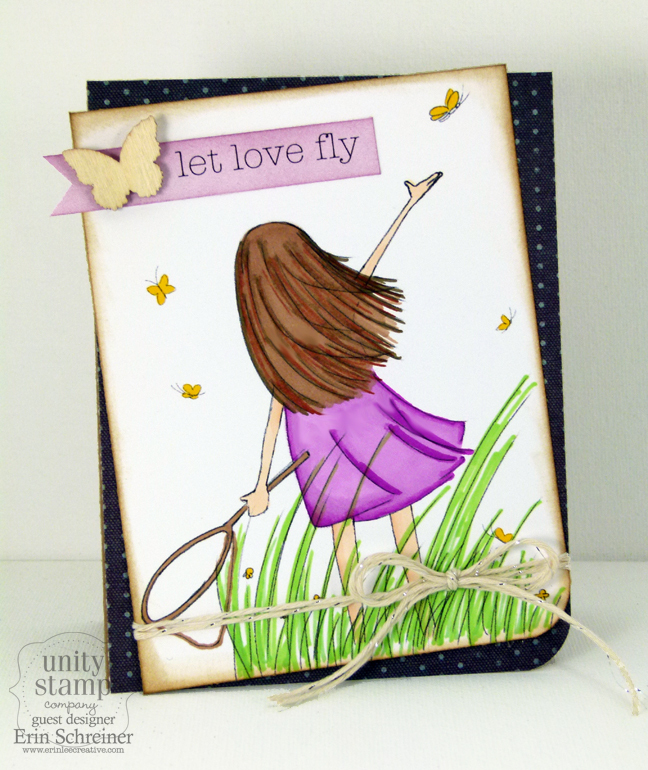 Here is the card I created with Let Love Fly set. I love that her sets are so simple. It just takes some coloring and the card is basically done because the images are just so beautiful standing alone. Next, we have a NEW monthly challenge starting today. 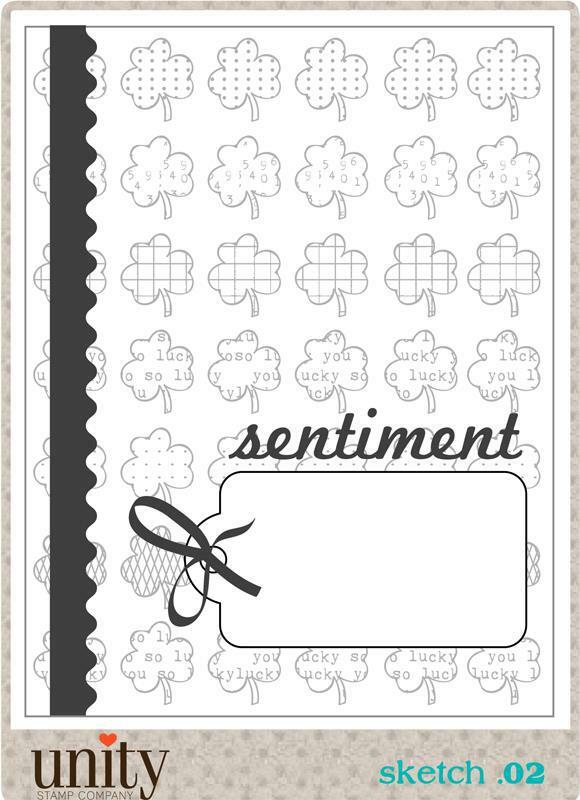 Check out the new sentiment kit you can grab for $10 this month, love those roses! To create this card, I used this month’s Kit of the Month You Are Simply The Best. Just LOVE the ikat trend going on right now. Last, we have a chance for blog hoppers to win a gift certificate to Unity by just hopping along and commenting along the way. Sweet, huh? 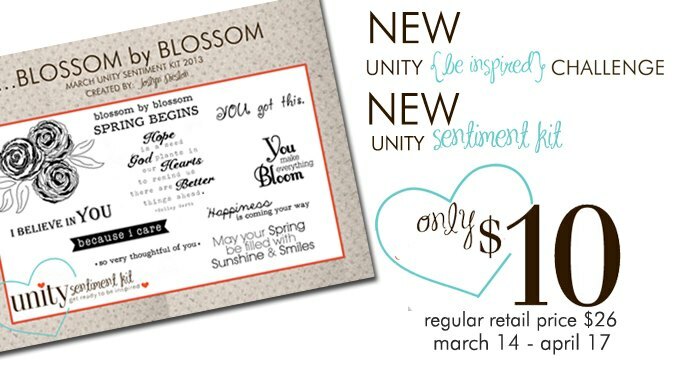 So make sure you leave comments galore for your chance to win some Unity moolah to pick up some stamps that are on your wish list. I think that’s it for now! Your next hop along the way is Jen Buck…have a great day!